CRG and Briggs & Stratton have jumped into bed with the aim of creating a cheap entry level karting program for the European market. The Italian and American companies are proposing a one-make class (CRG chassis, Briggs engine) where modifications to the kart and engine are banned (other than chassis setup changes). The initial proposed price point for a ready-to-race turn-key kart with tyres is about A$4000. CRG has named the chassis “FS4”. It will be powered by a sealed Briggs & Stratton Lo206 4-stroke engine and rolls on Vega tyres – though the press release did not specify which compound. 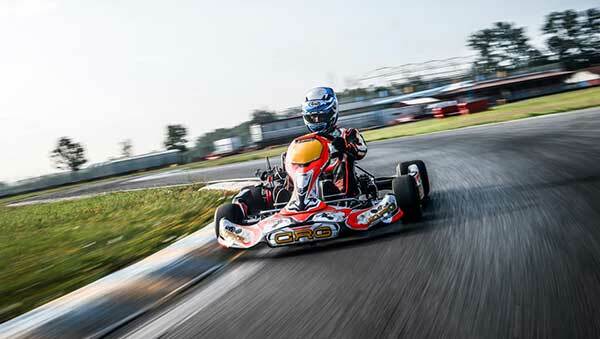 CRG stated the goal of this initiative is to bridge the gap between rental karts and racing karts. “Such a gap has been made huge by the always increasing costs of karting competitions and by the necessary time, specialized technical assistance and costly maintenance that is required by this (racing) segment, which has become extremely professional” the press release read. To kick things off, CRG will run a promotional ‘road show’ and organise some events for later this year. This will be followed in 2018 by the inaugural Briggs Kart Championship. It will comprise more than 40 races throughout Italy on a network of tracks selected to be suitable for entry level karting. Technically not a series, drivers will earn National ranking points from the events in which they participate. The top ranked drivers will then be eligible to contest a National final. Initially the championship will be only for Senior drivers (16 and over) but Junior (11-16) and Mini (7-11) will soon be added. The Technical and Sporting Regulations will be officially disclosed in September. “We got our inspiration from the success that these engines have in America and we devised a strategy to promote this entry level programme in Europe” CRG President Giancarlo Tinini said. Retail price: Senior and Junior ready to use models retail at Euros 2,700 + VAT (approx A$3980 + tax), including tyres. The MINI product will be launched in 2018. Race format: Local races awarding points valid for the National Ranking. The best National drivers will qualify for the National Final. An International Final will also take place. Technical Regulations: Only set-up changes allowed. Engines sealed and all changes banned. No change allowed on the chassis accessories. Bring it on in Australia. Again the kart manufactures are trying to kill a concept before it even begins… The Briggs program here in North America is a huge success. Why? Because you can buy a $1000 2 stroke chassis, put on a Briggs and be competitive. Why making them buy a new chassis and a dedicated class? Will they ever learn…?